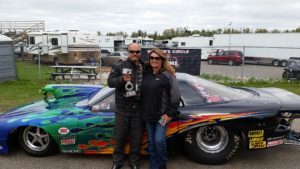 Amazing weekend at Edmonton’s Castrol Raceway for the season finals of WDRL Competition. 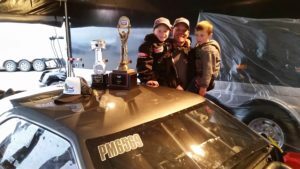 Unique Concrete Pro Mod finished up July’s IHRA Mopar Rocky Mountain Nationals race on Saturday while qualifying for Sunday’s double points final. 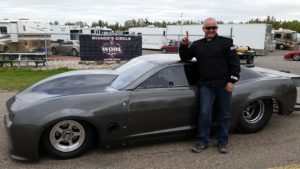 Castrol Raceway Pro Mod records were shattered as Rick Distefano laid down a 5.90 @ 257.58 mph run during first round on Sunday. Joe Delehay set the record first during qualifying with a 5.97 and Distefano set the mph record at 255. Then Sunday came. Delehay tried to do it again with a 5.96 but Ricky D was not to be denied the record with the blistering 5.90 at 257 racing in his one and only race of the season. Mike Gondziola set a new WDRL ET record at Mission Raceway early in the season of a 5.85 to take quick ET award. 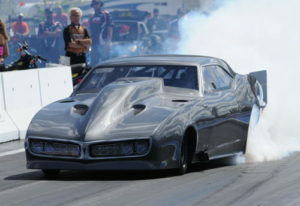 Rick Distefano has the Top Speed award at 257.58mph. Five of the seven WDRL classes championships were decided on Sunday’s double points race. Top Sportsman went down to Sunday’s race with Mike Lucas edging out James Rutherford for the Championship. 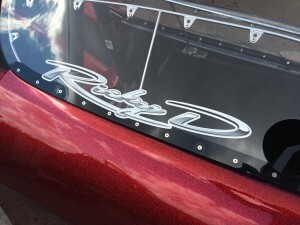 Rutherford deciding to not race at the IHRA Mopar Rocky Mountain Nationals was the deciding factor. Lucas ran all races and now has the Championship. 48 cars took points in 2016 for the most successful Top Sportsman season to date. 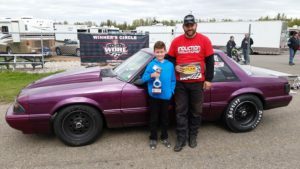 Extreme Street (Outlaw 10.5) was decided a number of events ago as Chris Gould made all the races and gathered valuable points through the season. Outlaw 8.5 was again Mark Campbell’s to lose. Campbell, the defending 2015 Champion was set for another stellar season and he was not to be denied. With complete all races on the season Campbell once again your Outlaw 8.5 Champion for 2016. Open Comp came down to the last race of the season as Keith Prozni edged Dave Rutherford by a few points to be the surprising Champion for 2016. At least surprising to him. Prozni not really focused on the points championship as he was having fun just running the class. Pro Boost class came down to the first round of the final race, as Joe Delehay was 901 points behind leader Garrett Richards. Richards lost first round and was now wondering if Delehay could take it away. But after doing the math, Delehay would still be 101 points shy if he wins the race to beat Richards. That is exactly what happened!! 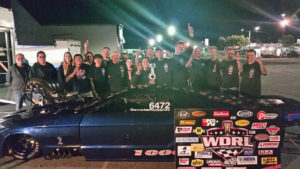 Joe Delehay went to the final and raced 2015 Champ Dale Pedersen in a epic final. Could have gone both ways, but Delehay edged Pedersen at the strip on took his first win on the season. Still 101 point shy of the Pro Boost Championship. That amounted to 1 round and 1 qualifying position advantage for Richards. 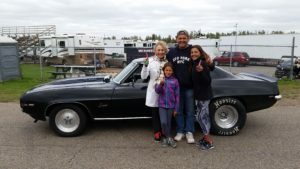 Pro N2O was decided during Saturday’s Rocky Mountain make up race as Dan Vogt, held off Gary Urlacher as Urlacher did not make all the races on the season, Yvonne Lucas was held off by mechanical gremlins all season as well. Vogt ran a consistent season and found himself Pro N2O Champion for 2016 overtaking 2015 champ Mike Gondziola. 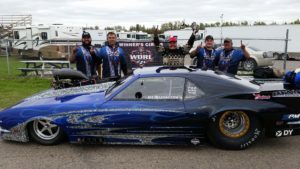 Saturday’s IHRA Mopar Rocky Mountain Nationals makeup race was run during qualifying as the teams paired up as they were set for the first round of eliminations from July 17. 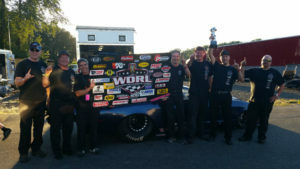 Rain effected the day and IHRA, WDRL and Castrol Raceway made the decision to run the race on September 3rd. Fort St John’s Jeff Doyle came out the winner and took home the Ironman and WDRL Piston as he continued going rounds. Doyle was extremely excited to win his first WDRL race and a prestigious one as well. Pictures by. 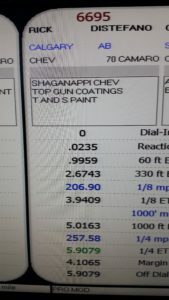 dragracecanada.com. Northernthunder.com. 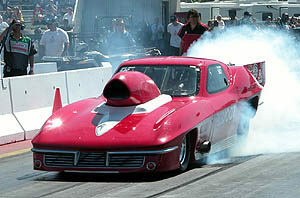 Dragracingonline.com. Rome Awde.